This is the detailed plan of EURAO Boulevard inside the HAM RADIO exhibition, to be held in Germany this year on 14-16 July. 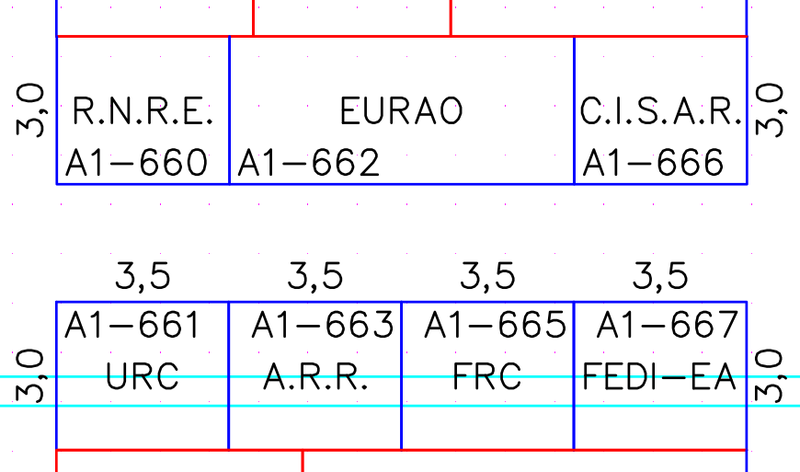 As you can see, in addition to EURAO booth (A1-662), there will be around also booths of the following member associations: RNRE (A1-660), CISAR (A1-666), URC (A1-661), ARR (A1-663), FRC (A1-665) and FEDI-EA (A1-667). Other member associations, like VRA, will be inside EURAO booth attending members, friends and visitors, listening opinions and sharing experiences. The European Radio Amateurs' Organization announces a new party on the air, this time with the motto: "watching SSTV". Remember this is not a contest, it is just a radio meeting with a few simple 'rules', better to call them recommendations. The European Radio Amateurs' Organization announces a new party on the air, this time with the motto: "10m FM". Remember this is not a contest, it is just a radio meeting with a few simple 'rules', better to call them recommendations. The European Radio Amateurs' Organization announces a new party on the air, this time with the motto: "give PSK31 a try". Remember this is not a contest, it is just a radio meeting with a few simple 'rules', better to call them recommendations. 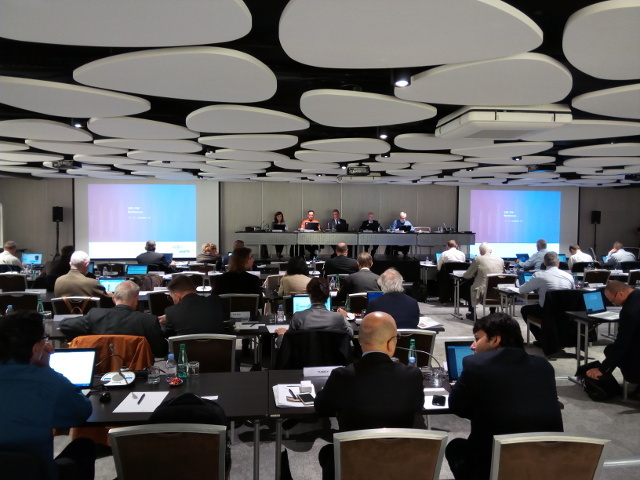 At the WGFM#86 meeting of CEPT/ECC, held on 17-21 October, 2016, in Bordeaux, France, EURAO was working on adapting and improving the ERC Report 32, about amateur radio novice licence, examination syllabus and certificate. This report is intended to be a guideline for those national administrations with the aim to implement an amateur radio novice licence in their own country and compatible with others. HAM RADIO 2016: très bonnes vibrations!! !